Affordably outfit exterior doors with this lockable lever set from Defiant. The Naples keyed entry lever easily mounts to doors 1 3/8-inch to 1 3/4-inch thick with the included hardware. Perfect for all entry doors where security is desired. Provided with this set is an adjustable backset and interchangeable faceplates for drive-in and traditional installations. This sturdy lever nicely coordinates with other fixtures in your home for a cohesive look. A lifetime warranty ensures that this device will withstand frequent use. Naples Satin Nickel Entry Door Lever Affordably outfit exterior doors with this lockable lever set from Defiant. The Naples keyed entry lever easily mounts to doors 1 3/8-inch to 1 3/4-inch thick with the included hardware. Perfect for all entry doors where security is desired. Provided with this set is an adjustable backset and interchangeable faceplates for drive-in and traditional installations. This sturdy lever nicely coordinates with other fixtures in your home for a cohesive look. A lifetime warranty ensures that this device will withstand frequent use. 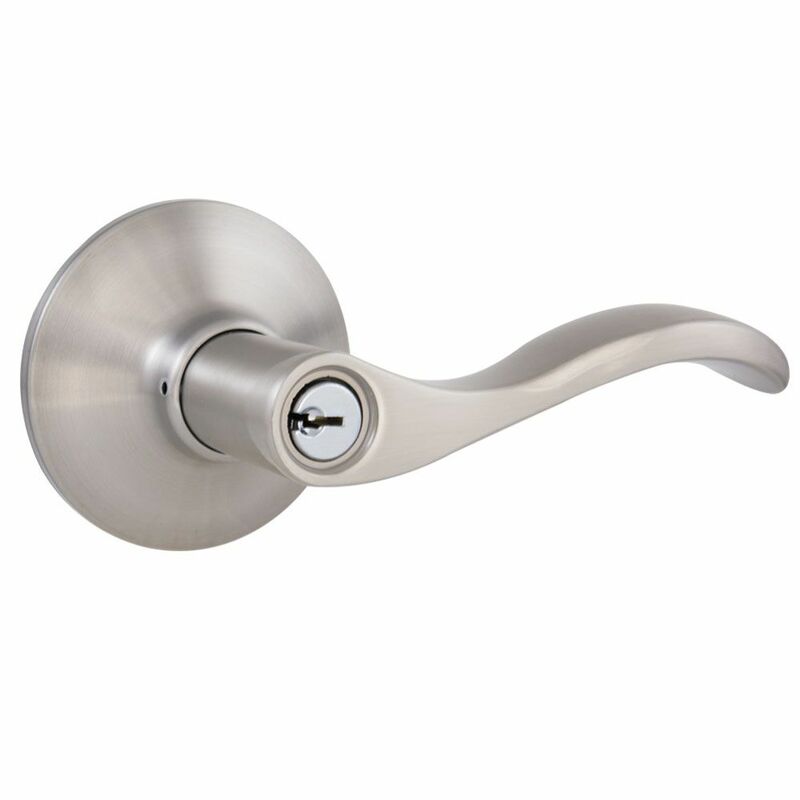 Naples Satin Nickel Entry Door Lever is rated 4.6 out of 5 by 115. Rated 5 out of 5 by Sony from Easy to install, looks great!... Easy to install, looks great! Rated 4 out of 5 by Carol from Very easy to install, works very nice, sometimes the round... Very easy to install, works very nice, sometimes the round knobs are hard for our hands to turn. It works fantastically!